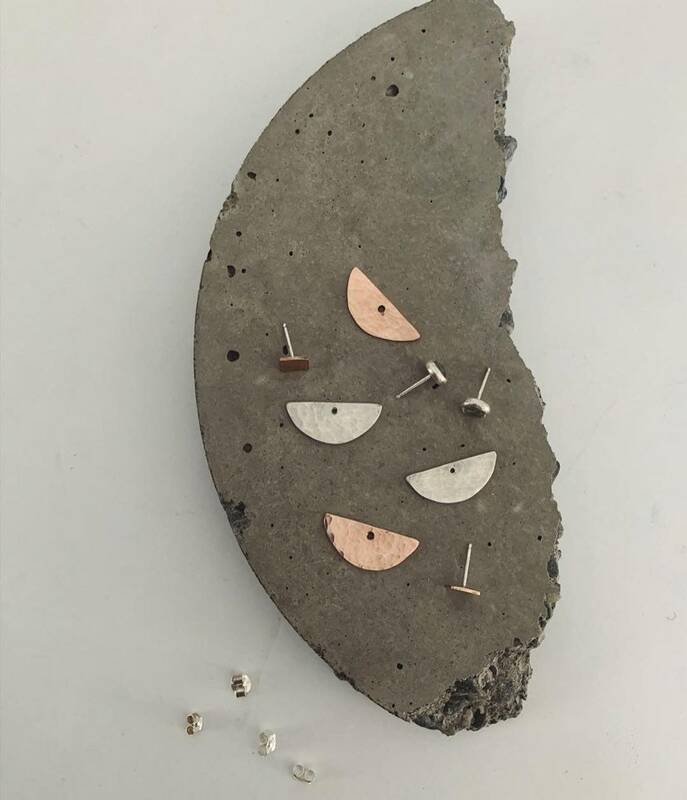 Stunning semicircle earring jackets with a hammered texture, evokes subtle sparkle against a minimalist, geometric backdrop. 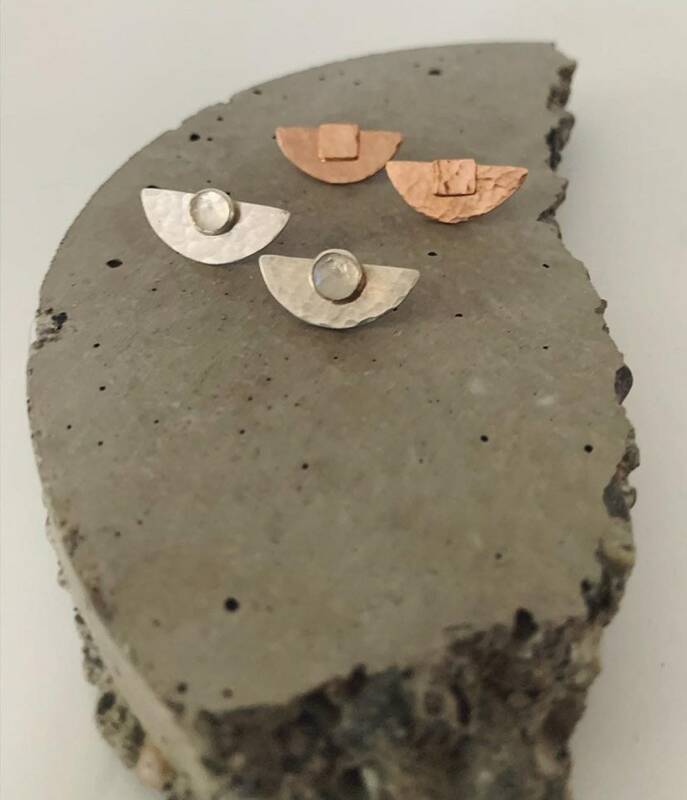 Each piece is hand sawn from 14k rose gold sheet metal, measuring roughly 3/4” in length and nearly 1/2” width. 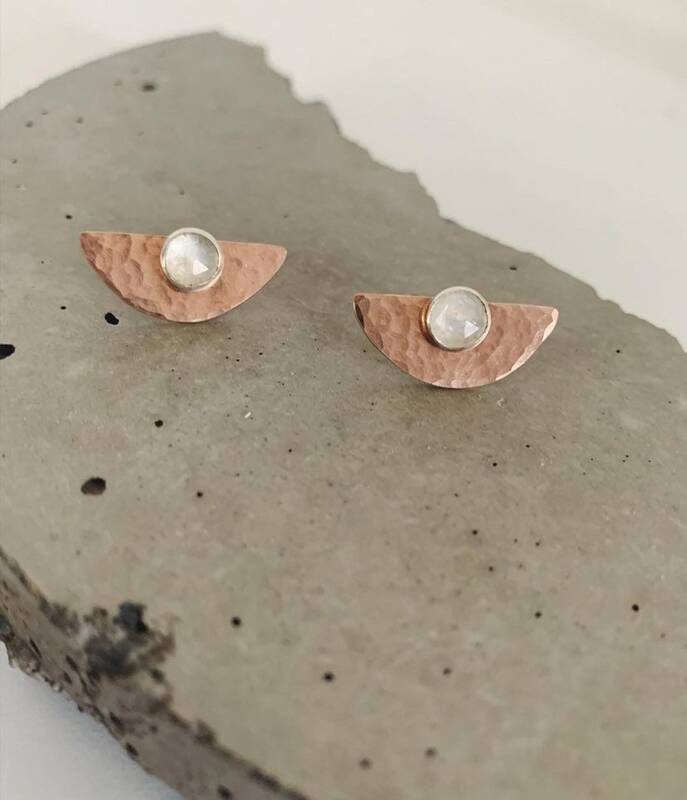 This listing is for semicircle earring jackets only. 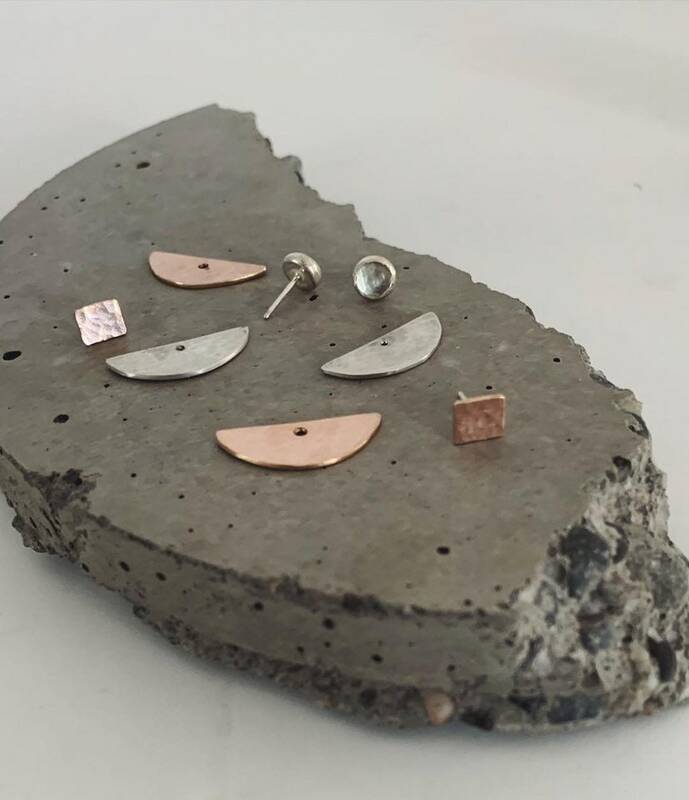 Studs sold separately, shop the link below for options!